My next novel is set in the early 1930s in Winchester, a city 60 miles south of London. 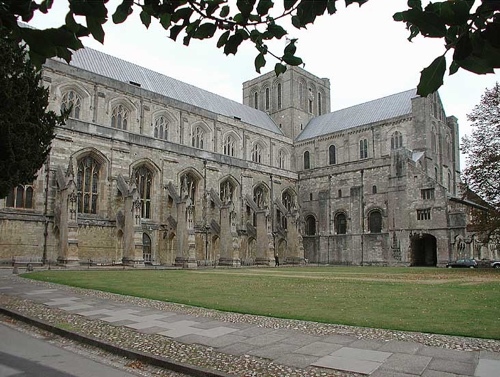 I have always loved cathedrals, and Winchester has a beauty. 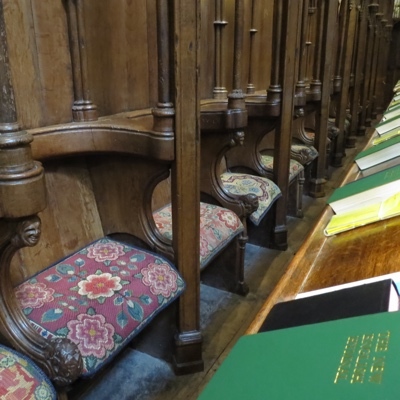 When I decided to write “cathedral” novel, I visited to see which of many stories about Winchester Cathedral I could expand upon. Jane Austen is buried there, for instance. During the English Civil Wars Oliver Cromwell’s men threw bones at the Great West Window to shatter it; the pieces were saved and later put back up higgledy-piggledy to remind people of its fragility. In the early 20th century, diver William Walker spent five years singlehandedly shoring up the sinking foundations. Any of these subjects could make a great novel. Instead, I focussed on: cushions. 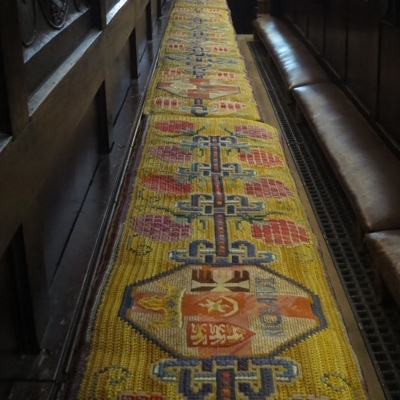 From 1931-36 a group of volunteers embroidered hundreds of cushions and kneelers for the Cathedral choir stalls. They are beautiful, unusual, and still in use today. I thought I would write something light-hearted about the petty politics of belonging to such a volunteer group. Once I began research, though, I discovered something about the cushions that has darkened the story and given it texture. I won’t spoil the surprise – you’ll have to read it to find out! Put it this way: the backdrop of the story is the rise of German fascism and how, in their own small way, my heroine Violet Hargreaves and her friend and unlikely bellringing hero Arthur decide to respond. By the way, I chose to set this book in the 1930s well before German fascism began to be referenced so much in current media. For once my historical fiction feels...timely. 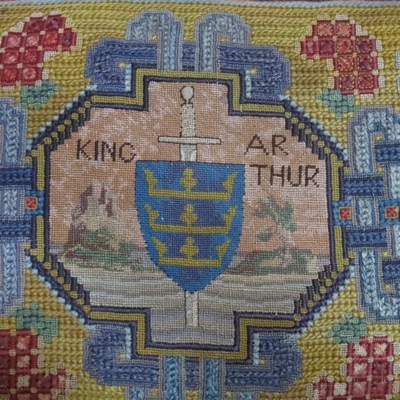 The border of this cushion contains a surprise on which the whole novel will hinge.